So what is your favorite yarn store and why? Do you love their customer service, the yarn selection, the pattern ideas, etc? Let us know. 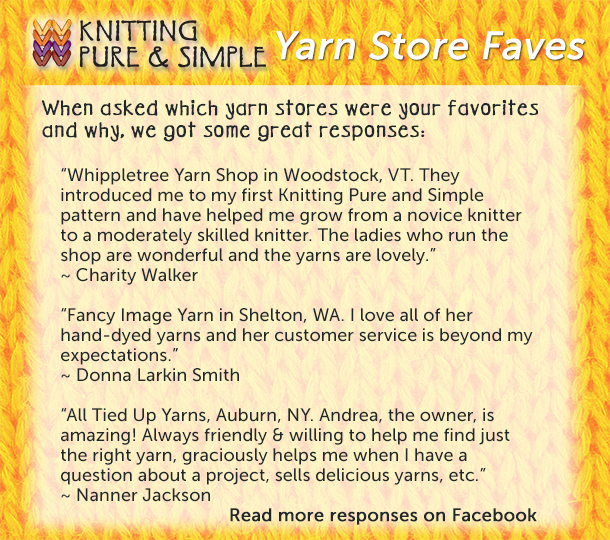 Give your favorite yarn store a shout out on Facebook and feel free to send in a photo along with your post.